Join us for Antarctica Day 2016! This year sees the return of the collaboration between the UKPN and Our Spaces to lead the Antarctica Day (1st December) festivities. As part of the events, we are inviting individuals, pupils, classrooms and schools to participate in celebrating Antarctica Day by designing a flag for the Antarctic. Design your flags on an A4 size, using pencils, pens, the computer or any other materials. Send your flags to us (education@polarnetwork.org), and the flags will hitch a ride all the way to the Antarctic with our flag-bearers. 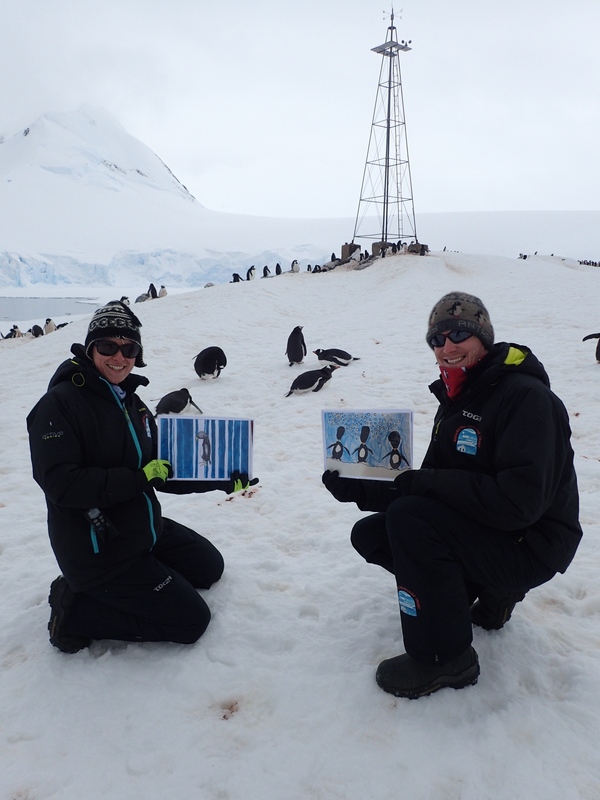 Your flags will be displayed around the Antarctic, and you will receive a photograph of your flag, along with a certificate for proof of travel, and to tell you where they ended up! Why are we doing this? Why celebrate Antarctica Day? The Antarctic treaty was signed in 1959 by twelve countries who were active in science research during the International Geophysical Year in 1957-1958. The treaty includes statements such as ‘Antarctica shall be used for peaceful purposes only’, and ‘Scientific observations and results… shall be exchanged and made freely available’. The treaty celebrates a milestone of peace in our civilisation with hope and inspiration for future generations. 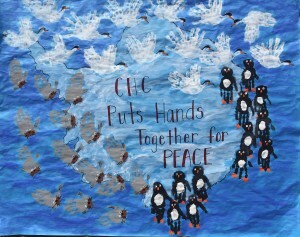 This year, we want to continue to expand Antarctica Day, and expand our flag project. Last year we had over 35 schools and 200 flags. Can we do better this year? 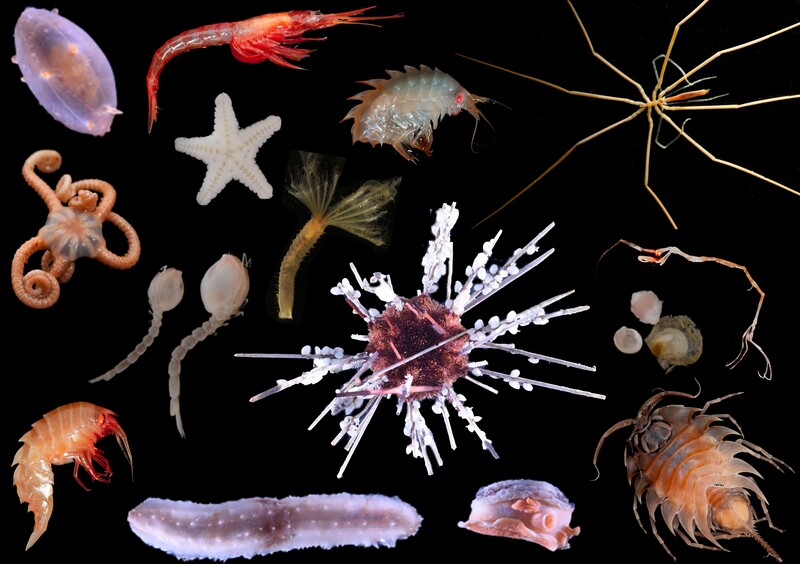 For researchers travelling to the Antarctic: You can help! Are you heading down to Antarctica or any of the surrounding Antarctic Islands this Winter (November – January)? If so, please let us know! All we ask is for you to help bring down some of these flags, which will be sent to you in pdf or jpg format (however many you are willing to help with!) and photograph them on Antarctica as proof of them having made the journey down south. However you do so is completely up to you – you can be as creative as you want. 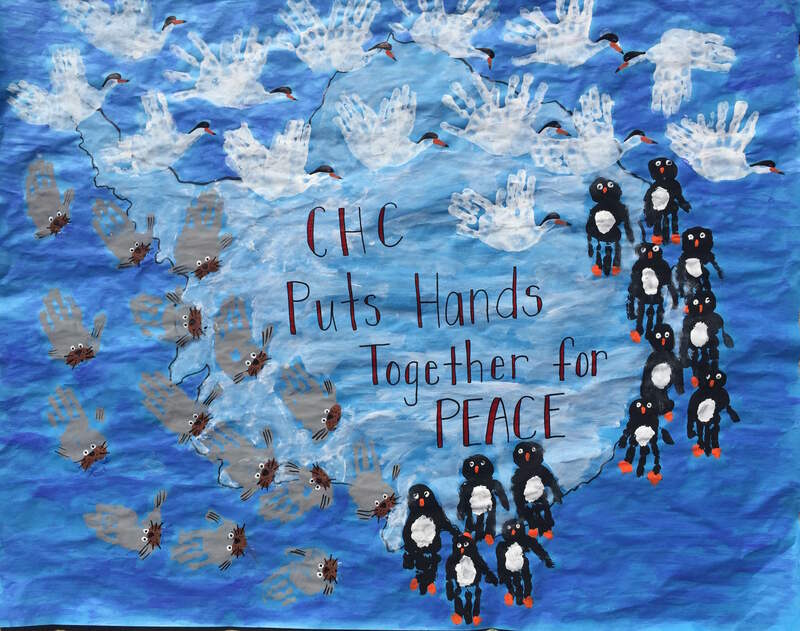 We’ve uploaded many school resources, including class plans and PowerPoints on how you, as an educator, can introduce Antarctica and Antarctica Day into your classroom, and have your students create flags to be sent down to Antarctica. We would like to emphasise that submissions to us can only be up to 5 flags per school - if you would like to submit your flags to us, please contact us on education@polarnetwork.org. 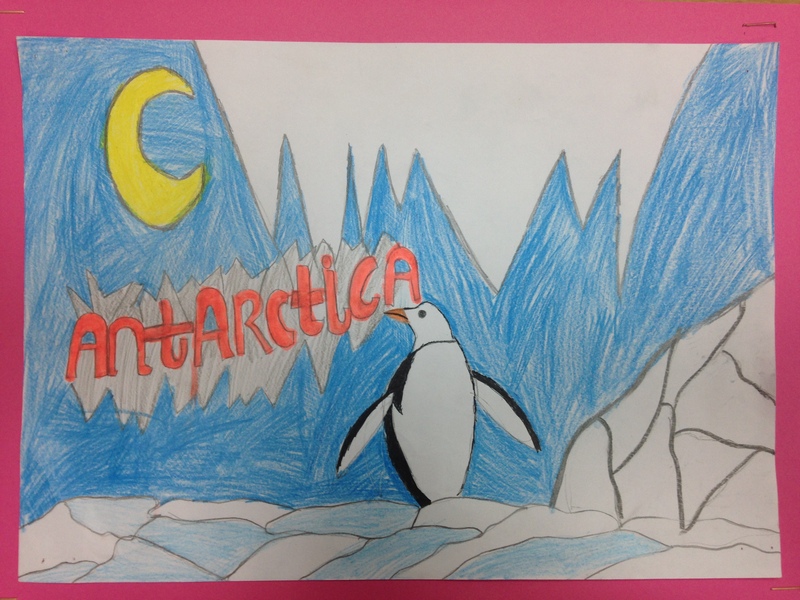 The idea is for your students to design flags for the Antarctic. You can either get all students to design flags, and then chose your ‘top five’ or you could design a couple of flags as a whole class/year group. Digital pictures of the flags are sent to us, and we then print off these picture and send them down to the Antarctic with our scientists and engineers in November and December. 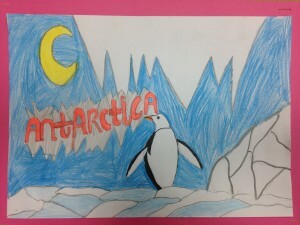 A picture of your flags will then be taken within the Antarctic, and the student/classroom will receive a certificate to say where their flag was displayed. There is also a chance that a competition will be run for the best flags to be hung up around the British Antarctic Survey and Scott Polar Museum. We can provide a large number of resources and lesson ideas. We would also like to maintain a relationship with the school afterwards, either by a visit to the school from a scientist, or an online Q&A session for your students with a scientist. This is an international activity, and so far we have schools from over 20 countries taking part. The UKPN would love to have your school participate in this exciting event. To help you implement this activity within your classroom, we’ve attached a sample class plan for Antarctica Flags that has been most popular over the last couple of years! If you would like this class plan in another language, please let us know by replying to this email. 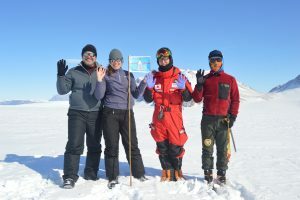 Researcher Christine Dow and her team display a flag at South Korea's Jang Bogo Research Station. 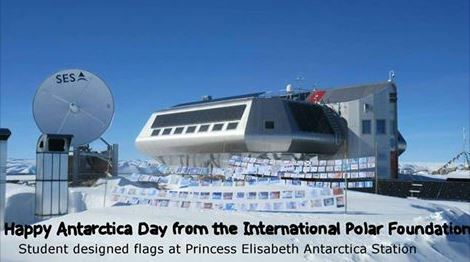 This year, our deadline for submission of Antarctica Day flags will be slightly earlier, on the 1st November (exactly 1 month before Antarctica Day! 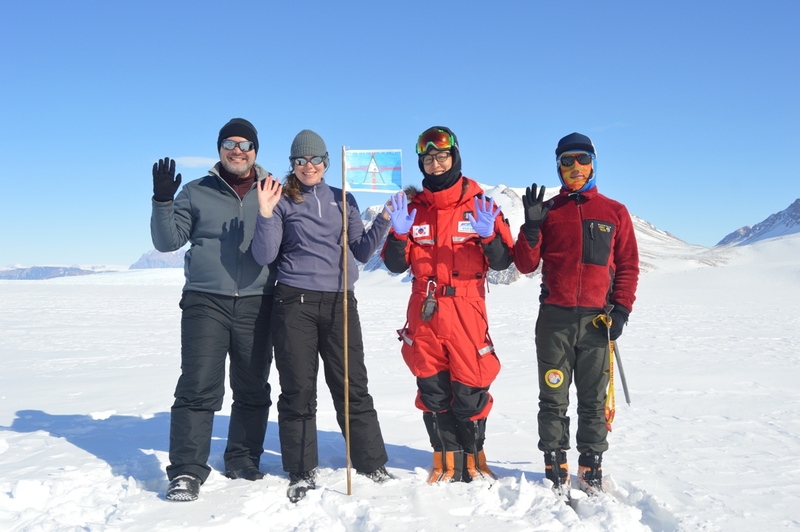 ), because we’d like to get your flags to be photographed in Antarctica on the 1st December. Lastly, to keep updated and involved in the Antarctica Day festivities, please follow us on Facebook (UKPN and Antarctica Day) and Twitter, where we will be regularly posting your flag submissions and other relevant items counting down the days to December 1st. Please get in touch at education@polarnetwork.org if you have any questions.